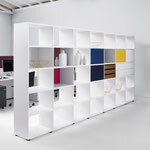 The basic system consists of solid glued carcasses in 3 widths and 4 heights, which can be endlessly extended via intermediate floors. 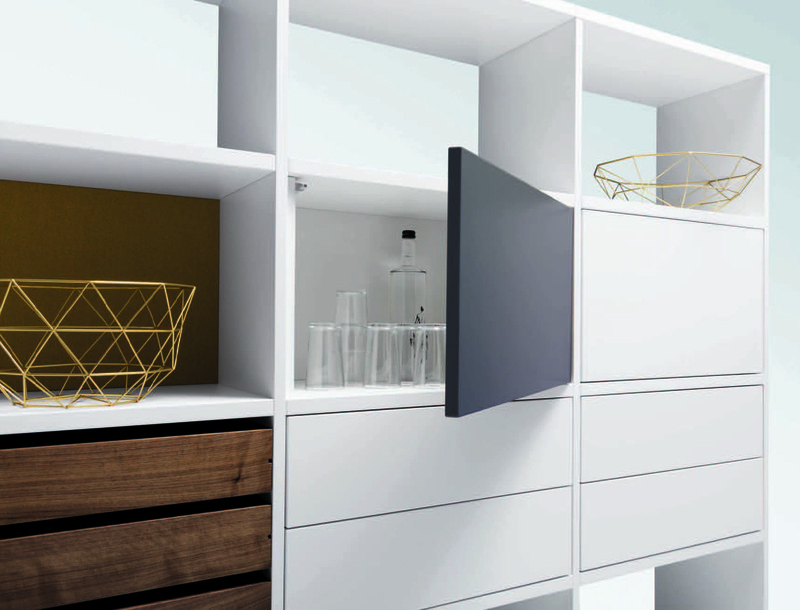 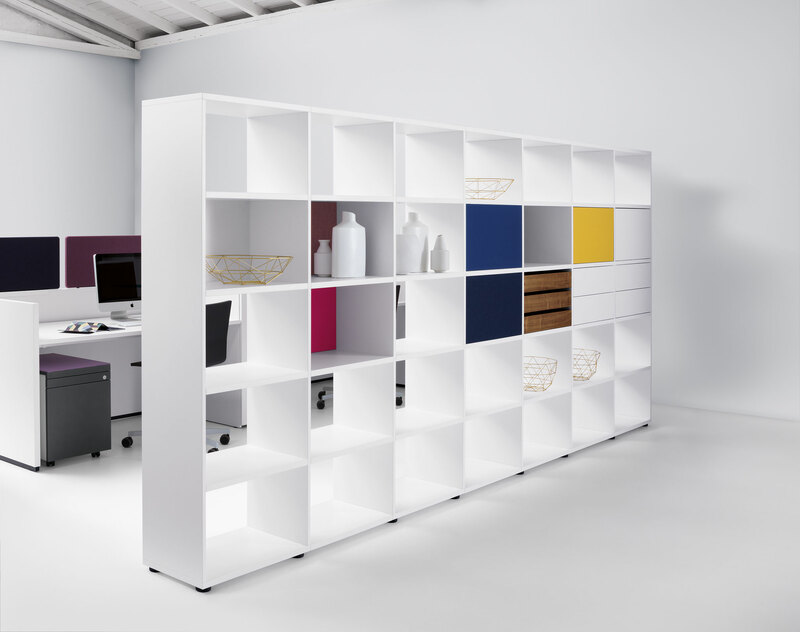 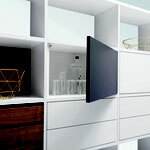 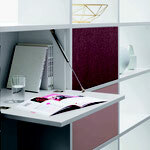 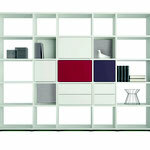 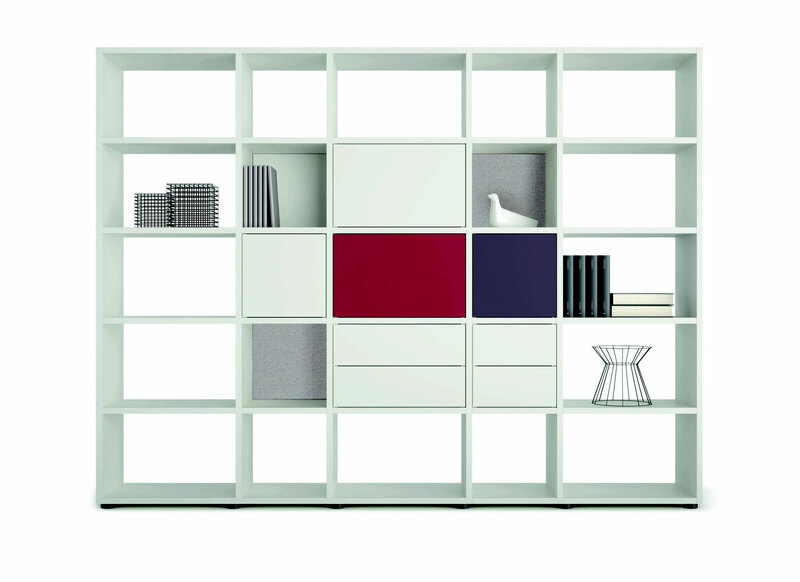 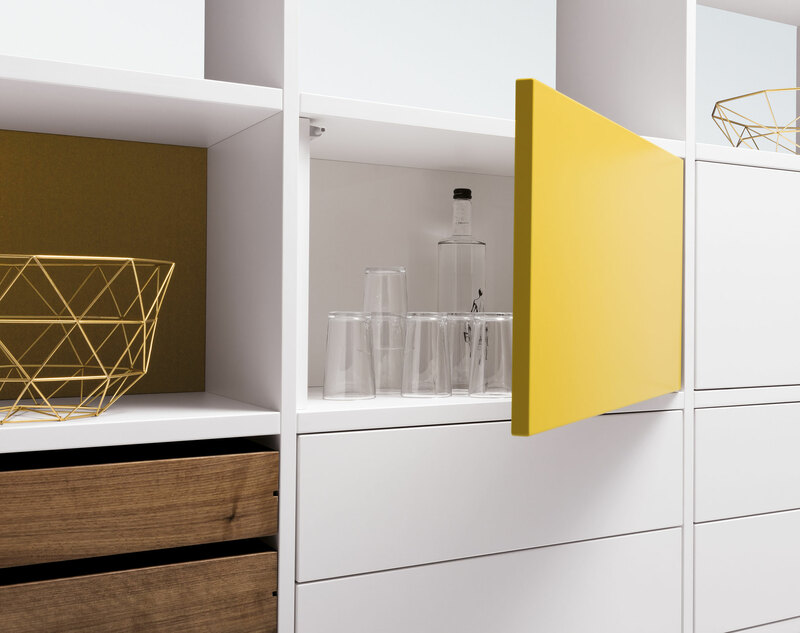 The open room dividers can also be retrofitted with rear walls, drawers, push doors or flaps. 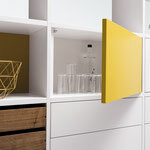 The result is a change between open, transparent views and closed fronts. 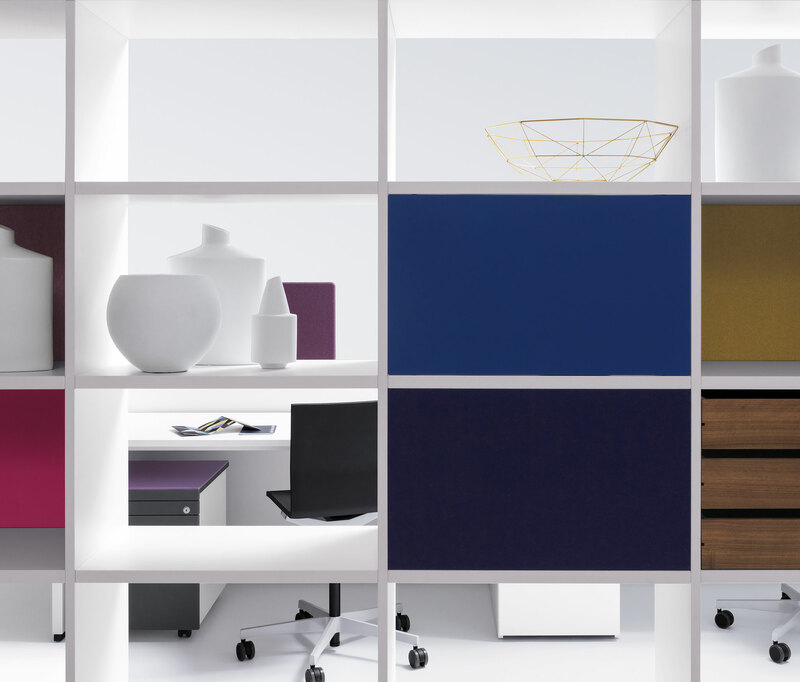 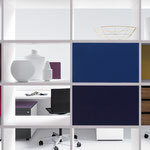 The modular system with the individual equipment options and the variety of surfaces, such as decorations, lacquers, real wood veneers and fabrics offers a great design freedom. 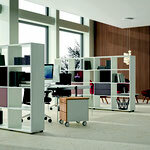 As a partial open shelving structure, basic view can divide spaces and at the same time allow for attractive vistas. 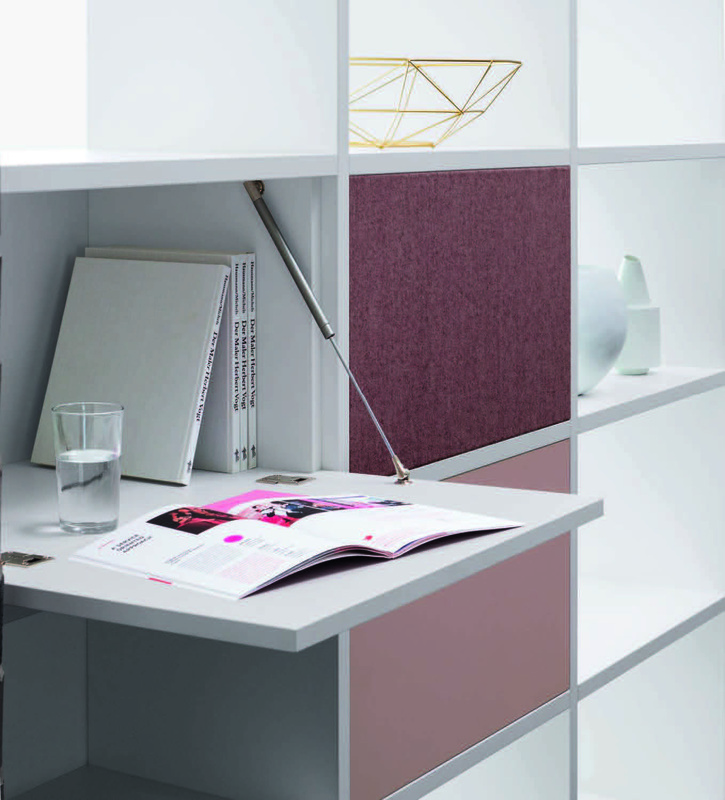 Openness and delimitation - the transitions are fluid.